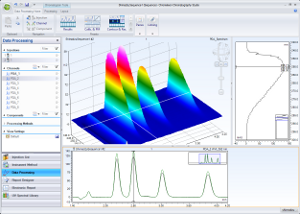 Control of Shimadzu’s SPD-M30A photodiode array by Thermo Fisher Scientific Inc.’s Chromeleon® 7.2 chromatography data software is now available through a collaboration between Thermo Fisher Scientific Inc. and Shimadzu utilizing the “Chromeleon Driver Development Kit” for multi-vendor hardware control. 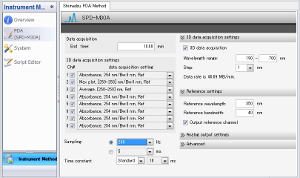 Shimadzu SPD-M30A control parameters are set through the Chromeleon Instrument Method Editor embedded in the Chromeleon software. These parameters are stored and handled as standard Chromeleon Instrument methods so that the instruments are directly controlled from Chromeleon. In addition to seamless system control, the detector signal is digitally transmitted to the data system. This eliminates the necessity to add an A/D converter for analogue data acquisition, making system validation easier and more robust. Full system control uses Chromeleon Instrument Method, and data processing is integrated with Chromeleon software so that the audit trail functions of Chromeleon software are fully utilized. This gives you full confidence in the compliance of the system to regulations such as GLP/GMP and US FDA 21 CFR Part 11. 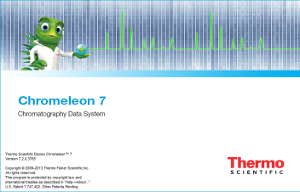 * Chromeleon® is a registered trademark of Thermo Fisher Scientific Inc.